I have been handling Minnesota Workers’ Compensation cases exclusively since 2003. I used to work with Liberty Mutual Insurance Company as a insurance defense lawyer handling Workers’ Compensation cases exclusively. Working for the insurance company taught me exactly how the insurance industry works and taught me the tricks of the trade. That knowledge has served me well. I now use my insurance defense knowledge to fight for the injured worker. I always fight to maximize your recovery. My goal is to fight for the maximum settlement possible. As a Minnesota Workers’ Compensation Law Firm my goal is to fight for the best settlement possible. Many law firms want to keep you in the system so they can keep billing the file. That way they can keep earning hourly attorneys fees billing the insurance company for their time. As the son of a family doctor, I treat the practice of law as being focused on what is best for the Injured Worker. In most cases a fair settlement is the best outcome for the Injured Worker. With a settlement you can move on with your life whereas if you stay in the system you keep dealing with the Workers’ Compensation Insurance ongoing dealing with the stress of a pending Workers’ Compensation claim. If the insurance company does not make a fair offer I take them to court to hold them responsible. Then once the judge has approved the benefits we are able to then work towards a fair settlement once you have reached the end of your medical treatment. I always fight for the highest settlement possible. I have a team of attorneys that helps me make this happen. My associate attorney Trial Attorney Karen Swanton worked as a Work Comp Insurance Company Defense Lawyer for 30 years defending claims. The Insurance Companies know when dealing with my law firm that if they don’t pay a fair settlement on your case that our firm will then assign our trial attorney Karen Swanton who has an great reputation with the Workers’ Compensation Judges and has an outstanding success rate at trial. We also have our associate attorney Former Workers’ Compensation Judge Richard Lund on our team. He has been handling Workers’ Compensation cases for 40 plus years including decades of work representing the Injured Worker, service as a Minnesota Workers’ Compensation Judge, as well as decades of experience as a Work Comp Insurance defense attorney. Finally, we have Trial Attorney Karl Menk on our team. 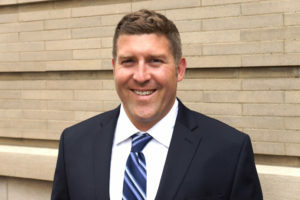 Karl is known within the MN Work Comp bar as an aggressive trial attorney and his reputation as a trial attorney willing to put cases in front of the judge helps him obtain top settlement offers. Attorney Karl Menk handles MN Workers’ Compensation cases exclusively. Both Attorney Karl Menk and Attorney Ross Menk are Spanish speaking as they have both spent a year abroad in Mexico. The Law Offices of Menk and Menk offers Free Housecalls Statewide. Please call us for a free consultation or if you just have some questions you would like to ask our attorneys. CALL US AT (612) 300-4000. Our office is in Uptown Minneapolis in the beautiful Semple Mansion (Free Parking). We also have satellite offices in St. Cloud, Duluth, Mankato, and Maple Grove. Check out our online reviews. You will see that our law firm has a reputation as a hard-working, client oriented law firm who gets results. We always fight for the best settlement possible. Call us at (612) 300-4000 for a free case review! Thank you and God Bless. Attorney Ross K. Menk. Founder of the Law Offices of Menk & Menk.